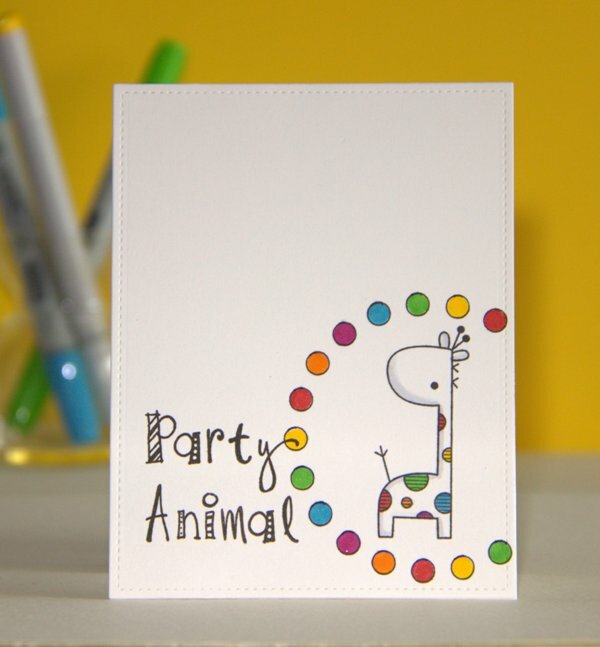 Happy Easter weekend - let's hope the sky is full of spring time sunshine wherever you are! 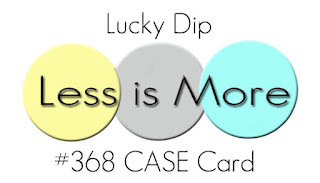 We're back with our latest challenge which is a Lucky Dip one, due to the 5 Saturdays in March. It's also our pleasure to welcome back Happy Little Stampers as sponsor for this challenge and taking us through April too! 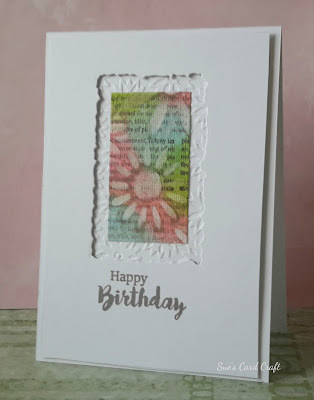 Joining us as Guest Designer for today we have Kylie, owner and designer for Happy Little Stampers; a super talented crafter and beautiful lady too. Let's get down to the challenge details and here's the cue card to get you started. 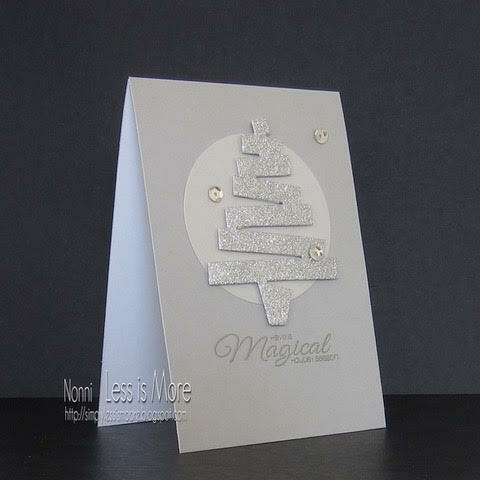 We decided to ask Aileen of Colour and Sparkle, our lucky winner from the January challenges, if she'd like to provide a CASE card for today's challenge and thankfully she said yes! 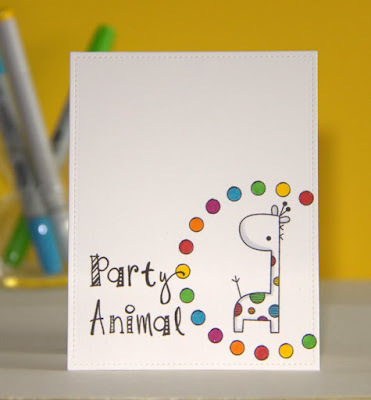 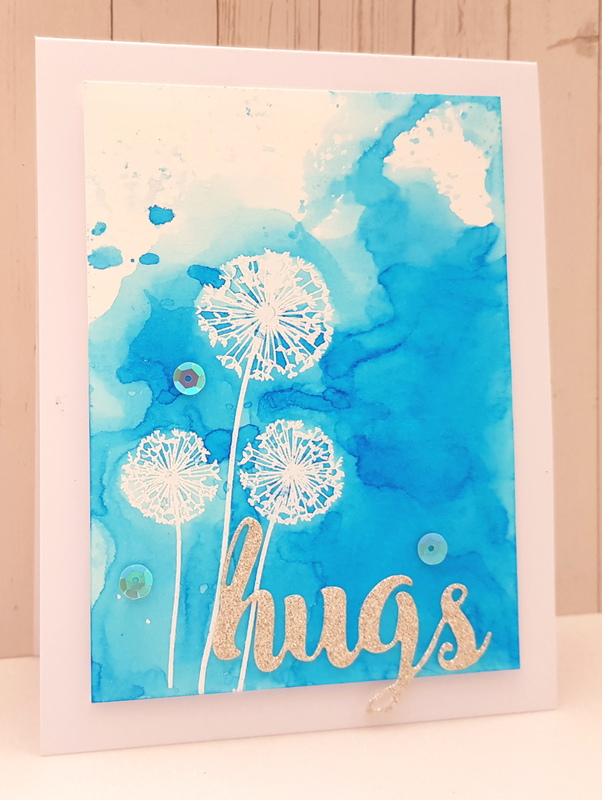 Now let's see what fantastic inspiration Kylie and the design team have created for you and do check out their personal blogs if you have the time as there could be a couple of bonus cards there! 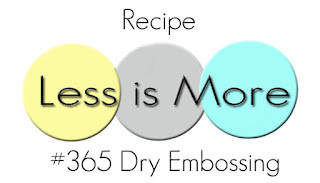 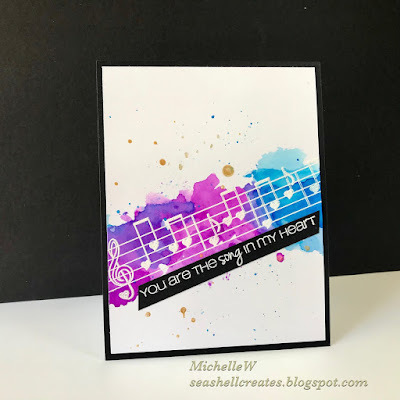 We hope you'll feel inspired to play along with us and have some fun and don't forget our generous sponsor for this month is Happy Little Stampers and their prize gift certificate can be spent on stamps and/or dies from the online shop! 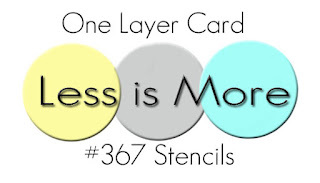 We're back with our latest challenge which happens to be the ONE LAYER challenge but we're sure you'll manage this one and have loads of fun in the process. 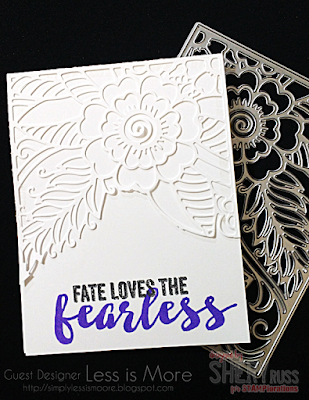 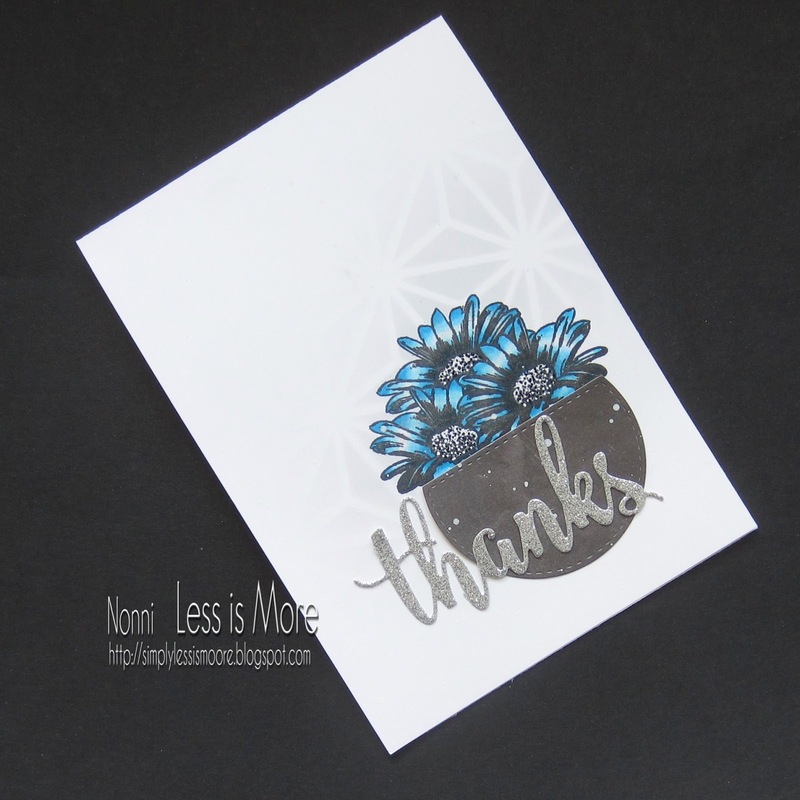 So hunt out those stunning stencils from your stash and start creating directly on your card base with no additional layers whatsoever! 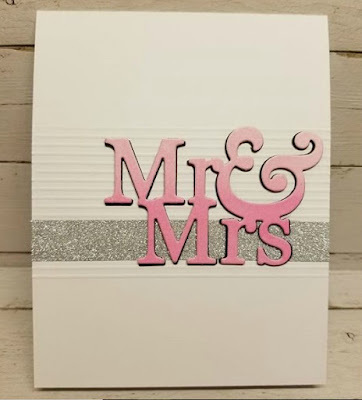 One piece of card folded in half with no additional layers and minimal embellishments, where the image is stamped or printed directly onto the cardstock. 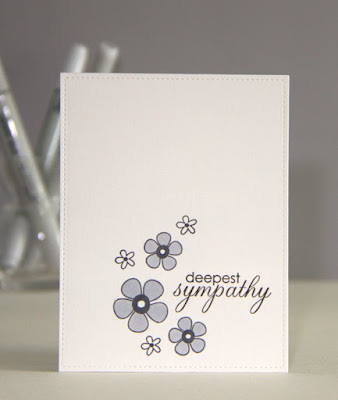 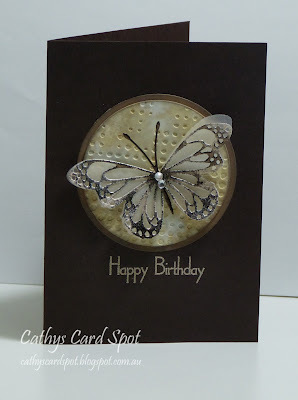 Inlaid dies can be used as a technique for one layer cards, where the die-cut image or sentiment is placed back into the front of the card base and a small piece of tape can hold your inlaid die in place from behind, yet the card remains completely flat. 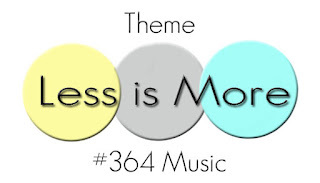 We hope you'll feel inspired to play along with us and have some fun. 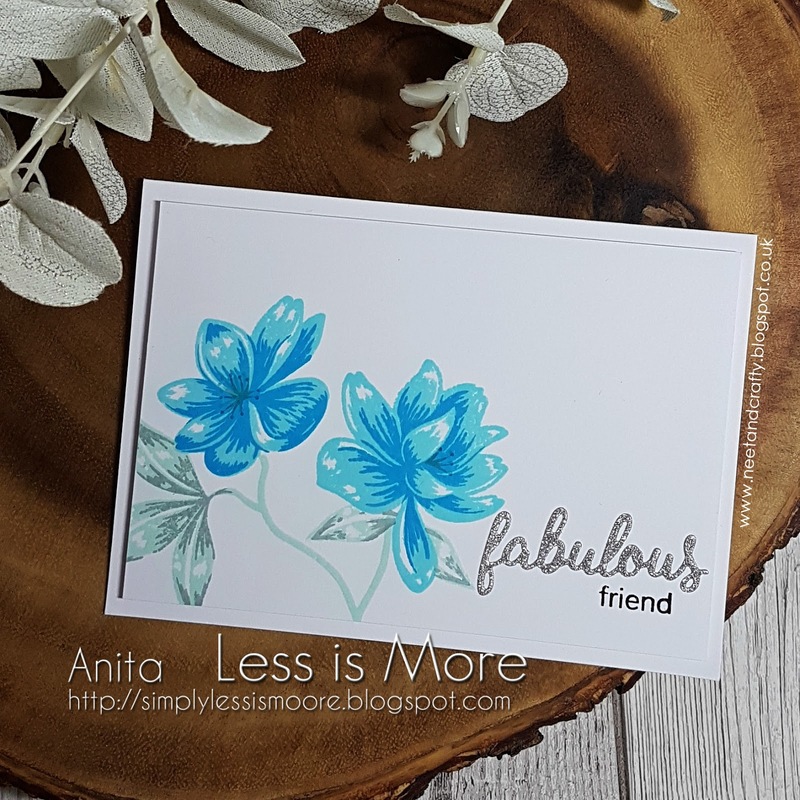 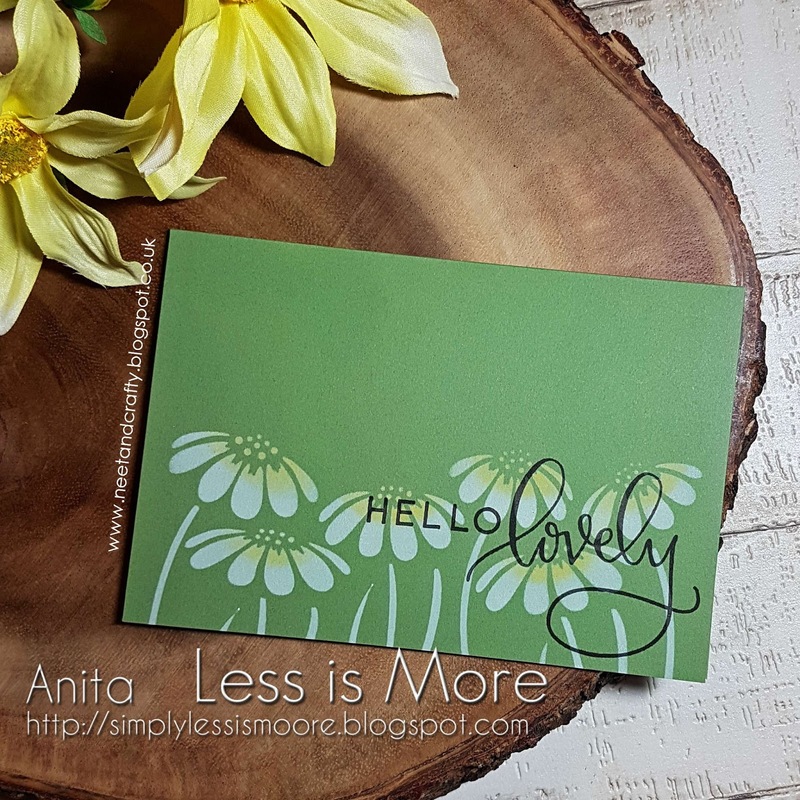 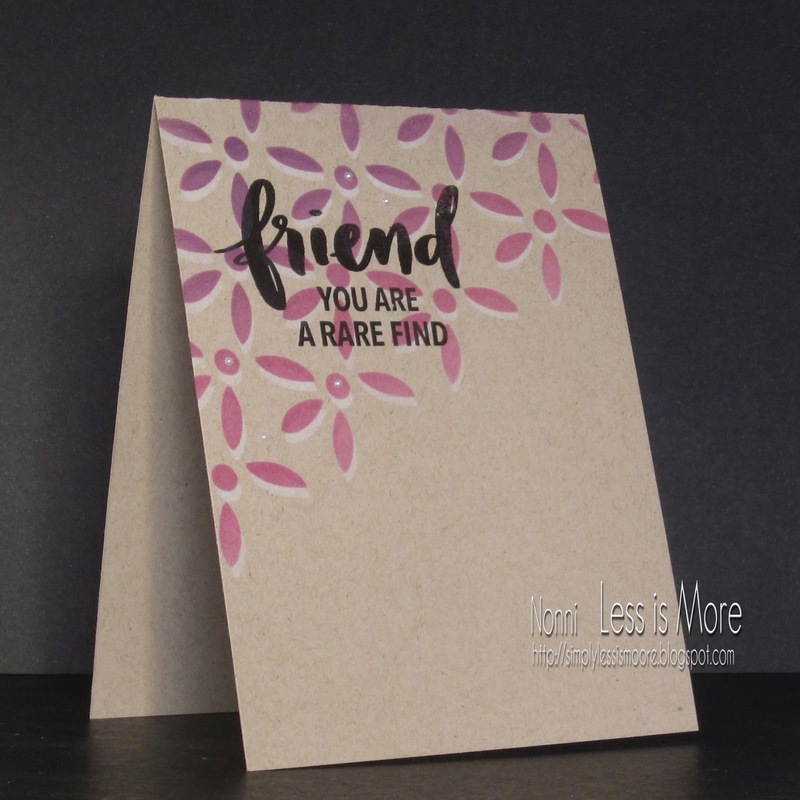 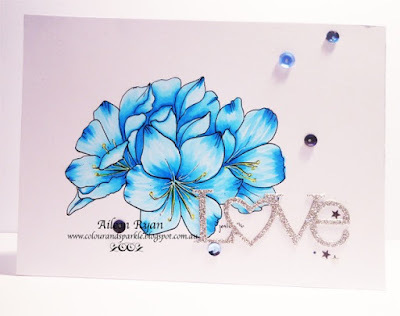 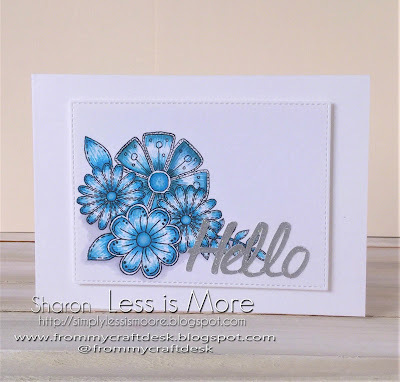 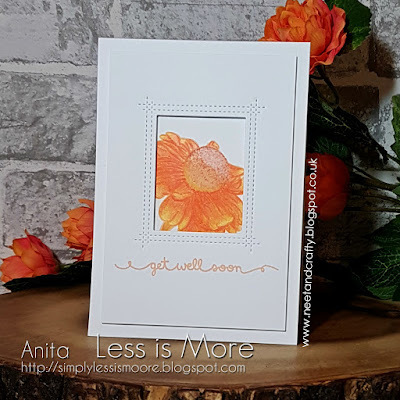 We're delighted to have Shery of STAMPlorations (our generous sponsor for this month) join us again with another fantastic card showcasing her beautiful products. Now let's see what Shery and the design team have created for you and do check out their personal blogs if you have the time as there could be a couple of bonus cards there! Please take a Prize Winner badge from the page at the top of the blog! 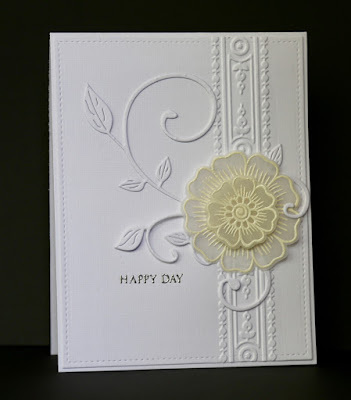 We hope you'll display it with pride on your blog with our congratulations and thanks. 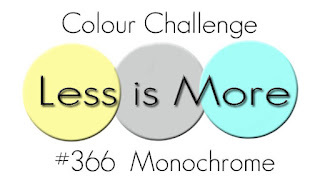 We'd also like to offer you the opportunity to Guest Design for one of our future challenges. 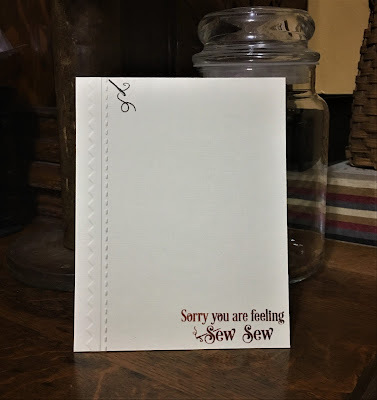 In addition to our regular monthly prizes we also had a randomly selected mystery prize and our ex-design team member, SarahG of Funky Fossil kindly offered a stencil prize too. 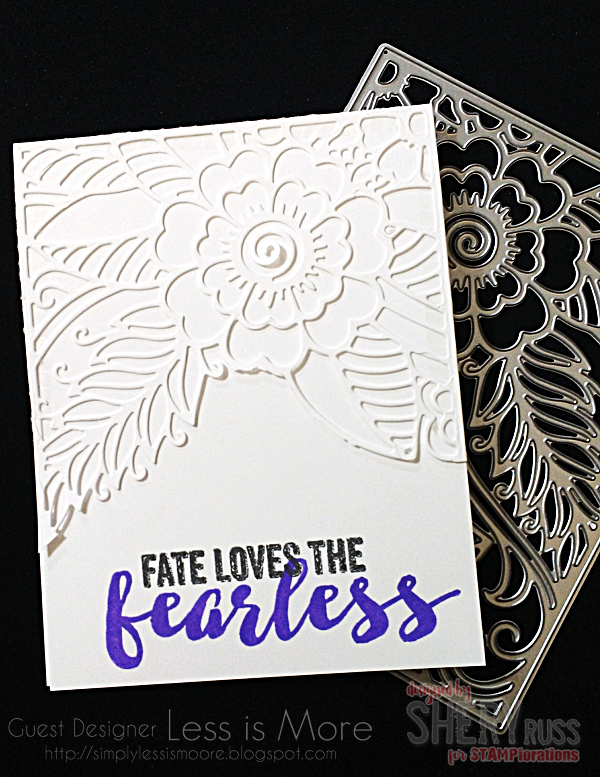 To be eligible for these prizes players had to enter both challenges in the month and we we're thrilled to find 41 talented and loyal LIMettes who achieved just that. 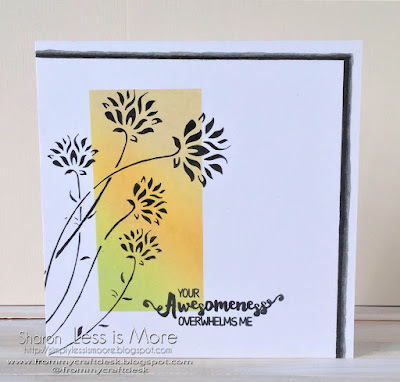 We're back with our latest challenge which is a colour one and we're delighted to welcome back STAMPlorations as our generous sponsor for this month. 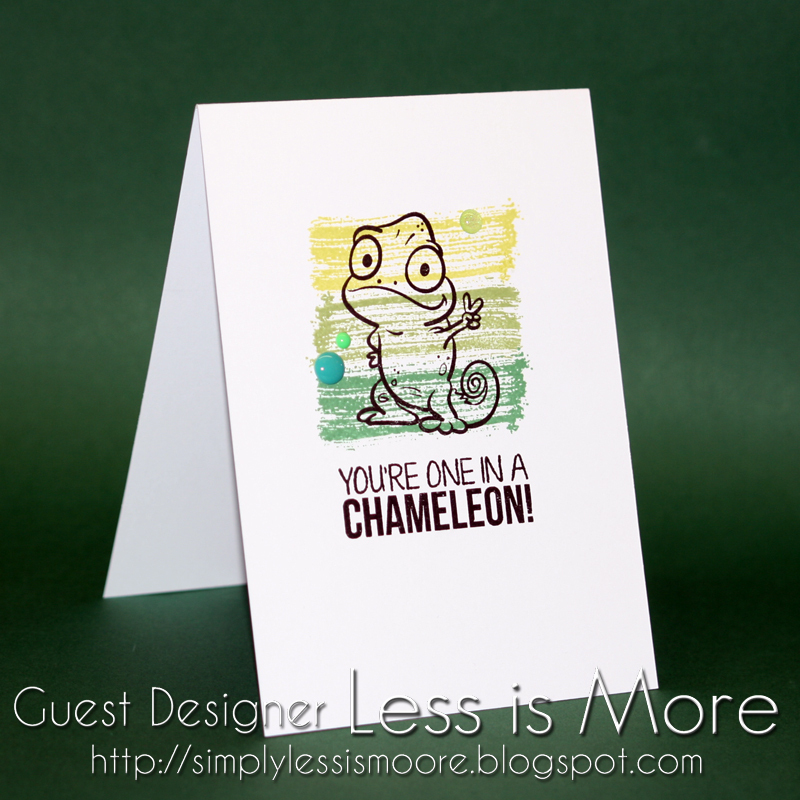 Shery (owner of STAMPlorations) is one of our Guest Designers for this challenge and her card was a little late as she designed something especially for the challenge! We're also joined by the super talented Maaike of Cards by Maaike, a regular here at Less is More and winner of our December challenges. Now let's see what fantastic inspiration our guests and the design team have created for you and do check out their personal blogs if you have the time as there could be a couple of bonus cards there! 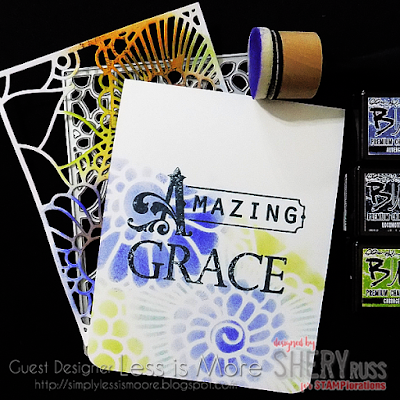 We hope you'll feel inspired to play along with us and have some fun; what's more you could be our lucky STAMPlorations prize winner this month!